Joe Schmidt does not seem like a selfish man, nor is he the spiteful type. 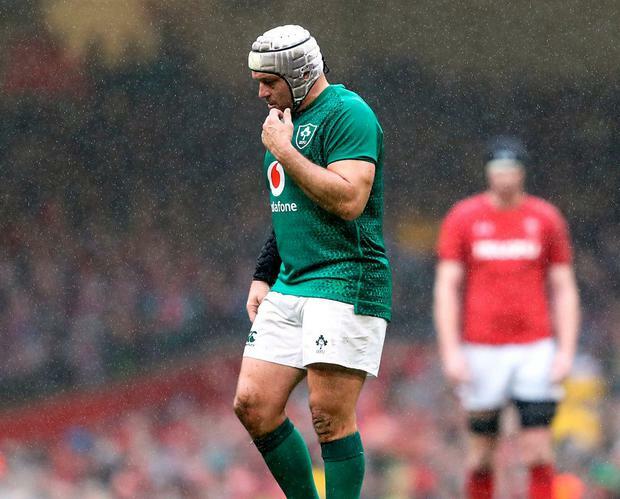 But he can be stubborn, and after Wales demolished Ireland at a sodden Principality Stadium, there was no denying that he had got solely sidetracked. 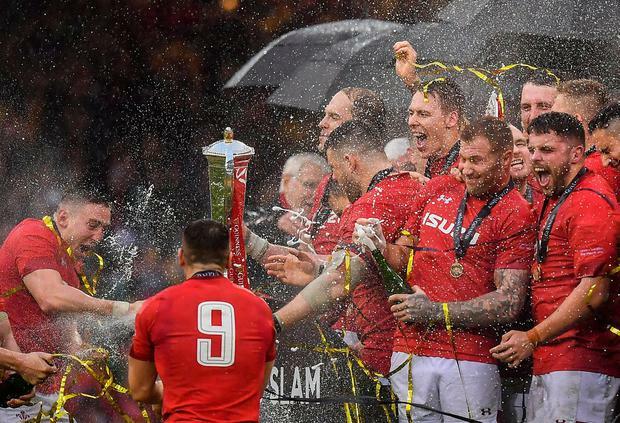 His insistence on keeping the roof open was seen as a dig at Gatland, a personal battle .... but it was one that did the fans, the occasion, and the sport a deep injustice. There is an old rugby story from decades past, about a pre-planned move being called from the base of the scrum. If the code word started with P, the forwards were to move left. If it started with S, they were to move right. The scrum half called: "psychology". Chaos ensued. Matters of the mind have progressed considerably since then. We all know the part psychology can play, and hopefully how to spell it. But once again Gatland, the honorary Welsh wizard, pulled his conjuring trick of making everyone look in the wrong direction. Schmidt thought he had won the mind games when forcing Wales to play in the pouring rain. Surely he knew they'd have to win an actual game in such foul conditions too? Perhaps he did not know that in parts of Wales it rains on 180 days a year, and that most of these Welsh players grew up playing rugby in the muck and drizzle. The game harked back to the dirty old days of Cardiff Arms Park, before they invented such posh things as roofs. When CJ Stander clumsily fumbled the ball at the base of a scrum in front of the Welsh posts, Irish insistence on an al fresco experience never seemed so foolish. It was 10-0 in mere minutes and could have been more. A penalty for Wales was overturned when Gareth Davies slid in after the whistle. That psychological slip was one of the few mini battles that Wales lost all day. Meanwhile the crowd was on fire, goaded and galvanised. Open the roof? They didn't care, determined to make as much noise as possible. In contrast to the funeral parlour atmosphere of the Aviva against England, here the Irish defeat was soundtracked by song after song. Sometimes three different hymns/arias were being sung at once. The Welsh crowd were competing with each other for decibels. It didn't matter. The Irish contingent had flown in on the tails of Storm Gareth but its namesake, Anscombe was all calmness as he put the boot in. The second half ticked by: 19-0, 22-0, 25-0. In the conditions, every kick felt like a try and marked another nail in the Irish coffin. Wales wish that the Japan tournament was kicking off next week (at least, give them a few days to recover from the celebrations). For Ireland, the only crumb of comfort is that there are almost six months to sort out the mess.